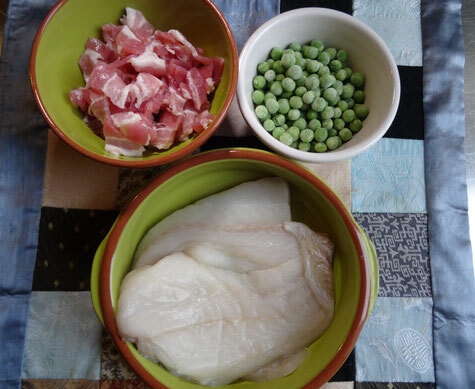 Fish is always going to be a more expensive ingredient but buying it frozen can keep costs down. 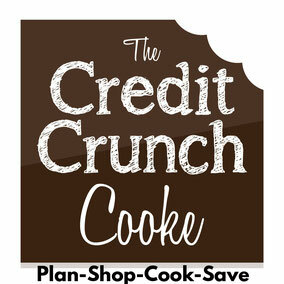 Go with your own budget & enjoy this easy to make but special dish! 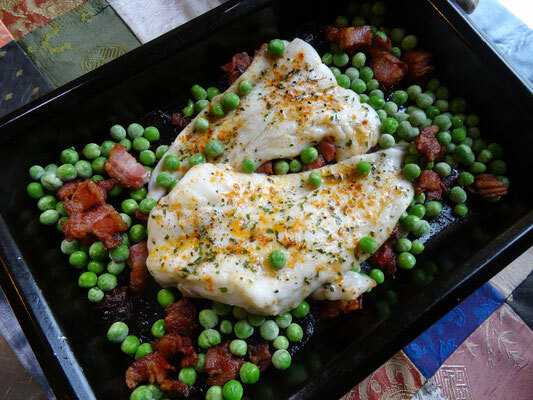 The salty bacon works well with the subtle fish with a hint of paprika. 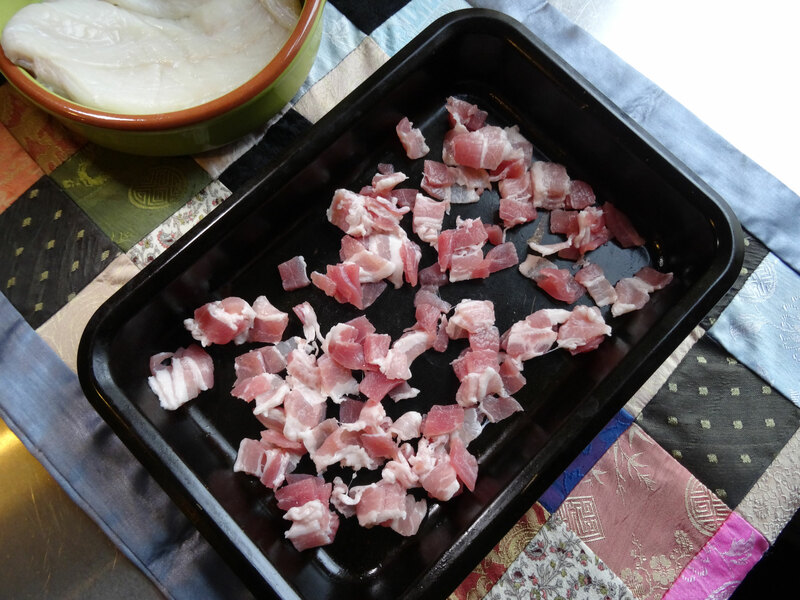 Spread the bacon evenly into a small ovenproof dish or roasting tin. 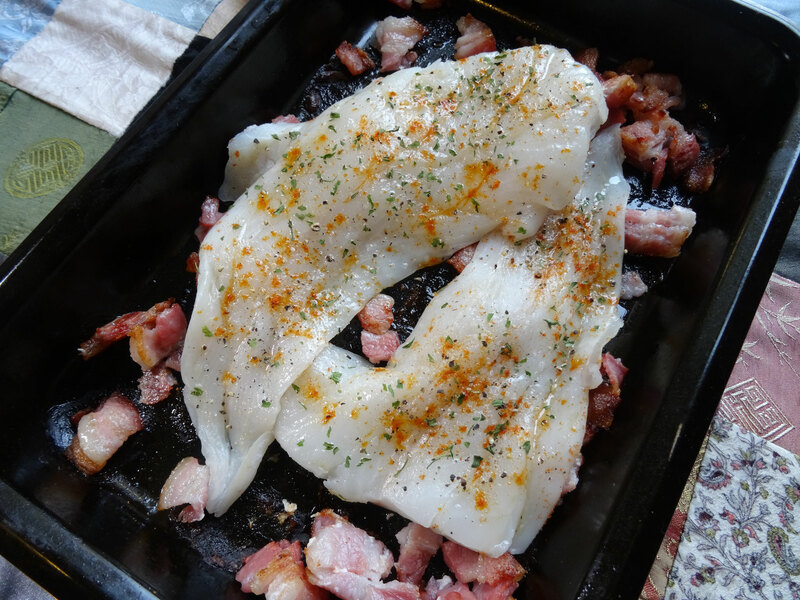 Place in the oven for 10 minutes. 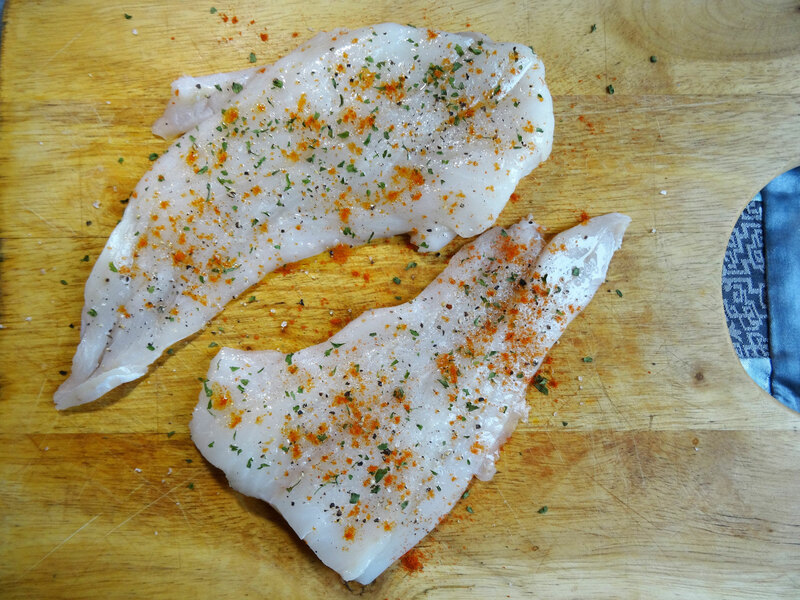 Meanwhile pat the fish dry with kitchen paper then rub all over with a little olive oil. 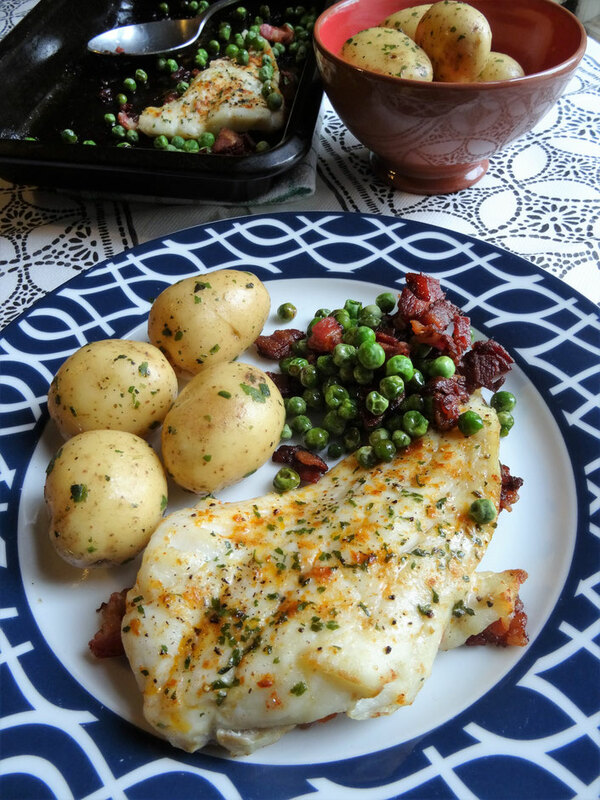 Sprinkle the parsley & paprika over the fish. 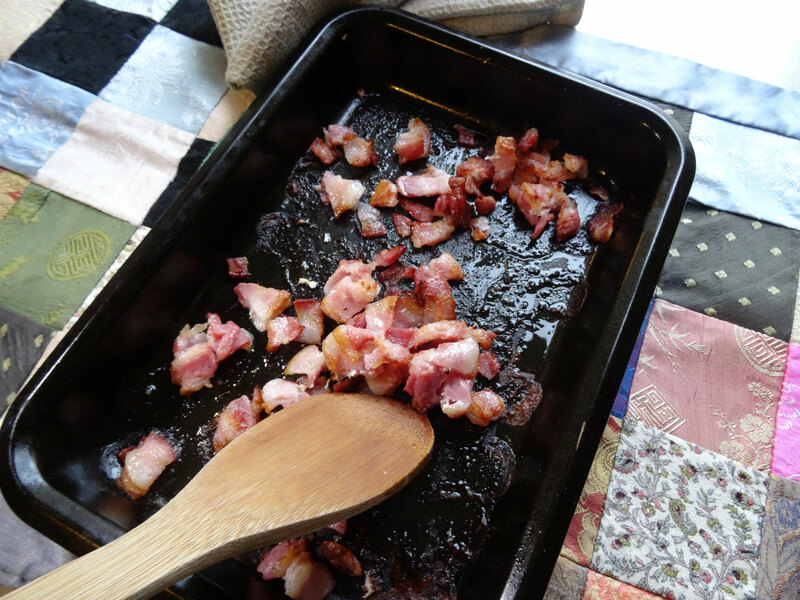 Remove the bacon from the oven & give it a stir to loosen it from the dish. Lay the seasoned fish over the bacon & place it back in the oven, removing again after 10 minutes to add the peas. Cook for a further 5 minutes.